Custom Florentine Frame (Intended for the print of the Judas kiss Painting) 47.5" x 42" I.D. 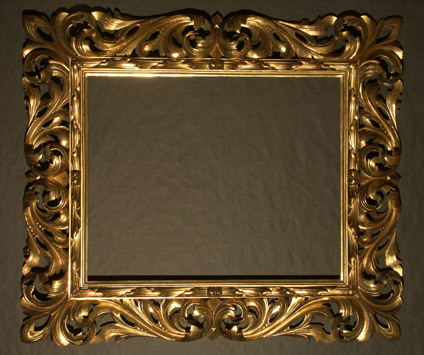 Robert Schoeller was commissioned to paint a fitting painting for this frame. We were able to reproduce the frame and offer it to you with a giclee of the commissioned painting. Please see the painting of the Judas' Kiss in the painting gallery.